We started our 4 hour journey to Southampton on Sunday. As with most of our long car journeys we stopped off along the way to re-fuel our tummys! We got into Southampton around mid-day. We used to shop in Southampton a lot about 3 years ago so we know it quite well. I like the Southampton Christmas market, although it is not my favourite. It spans through the middle of the town centre outside the West Quay shopping centre. Full of the usual you can find home made presents here, decorations and of course… FOOD! Unless you live locally it’s not worth the drive to these Christmas markets, but for us it was a nice little start. 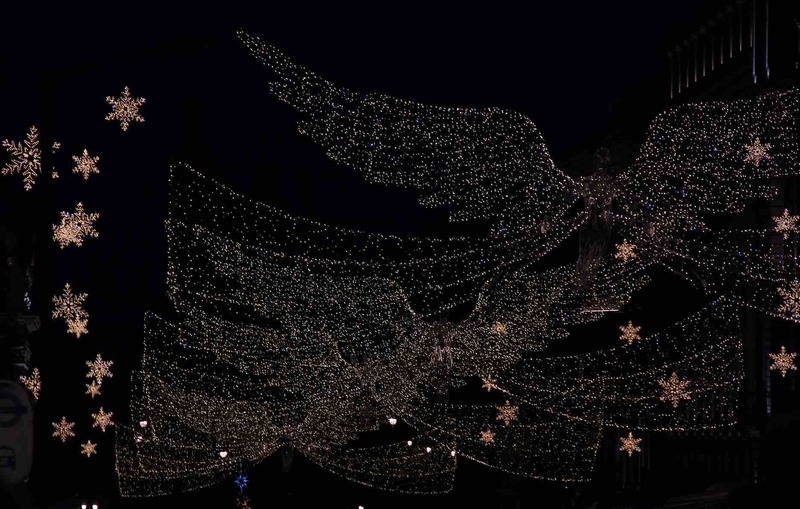 West Quay is also decorated with its lights for the festive season, these do look pretty! After Southampton we then set off for Winchester. Now Winchester is where I studied for 3 years and we know the city really really well, this is also where we stayed for the 2 nights we were down there. Winchester is a very oldy-worldy city and looks lovely at Christmas time, the cathedral is all lit up, along with the city centre and there is (of course) a tree 🙂 . I have always described it as looking like the set of Muppets Christmas Carol. 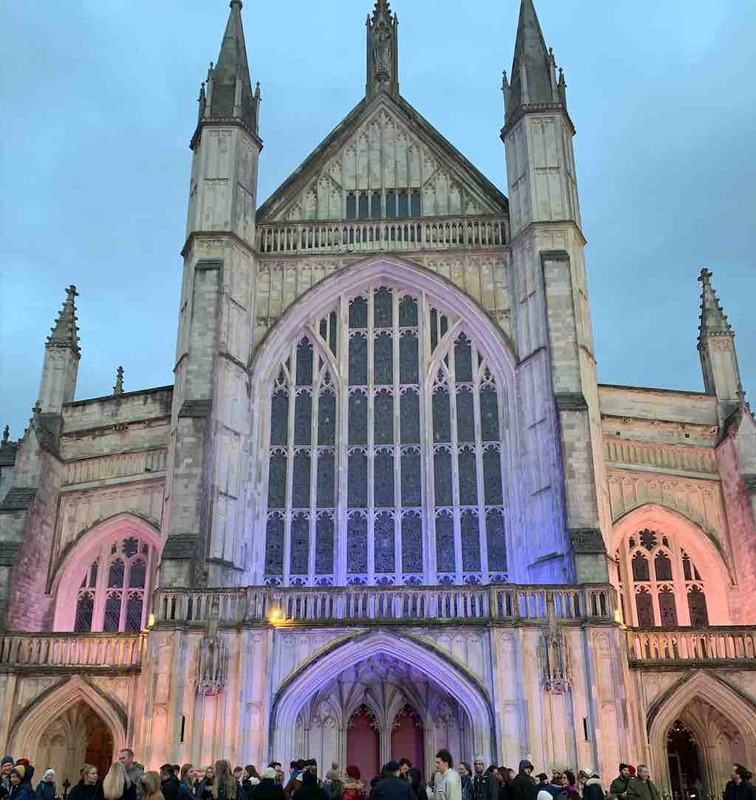 Winchester’s Christmas market is one of my favourites, set in the cathedral grounds, all in wooden huts, with an ice rink in the middle it is magical. You can smell all the food cooking as soon as you walk in!! A lot like the rest you can again find home made presents, ornaments, decorations and of course food. This market has a crafts section that you can walk around and is filled with all kinds of things. There is a hot chocolate stand (that understandably always has a queue). The food section is, well, the reason we go to these markets; there’s hot dogs, cheese stand, marshmallows, mulled wine, chocolate, sautéed potatoes, fudge, caramelised nuts and much more. 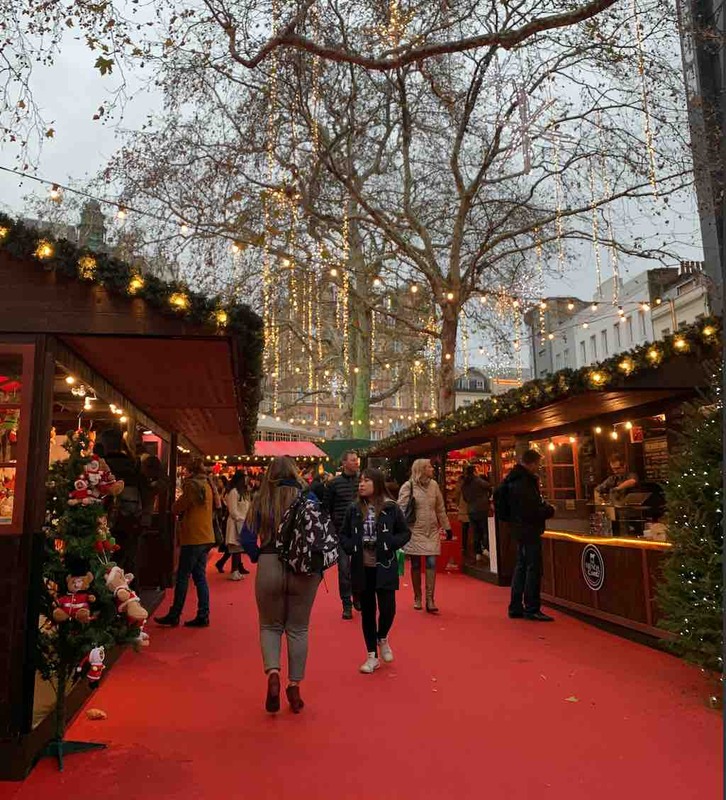 This market is definitely worth the visit to get yourself into the festive mood! Finally we visited London to see all the lights and markets around. Oxford street (as you can imagine) is worth the walk along. We walked down Regent street and then up and down Oxford street. It is lit up all magically and wonderfully and you cannot help but feel all festive when walking down here. 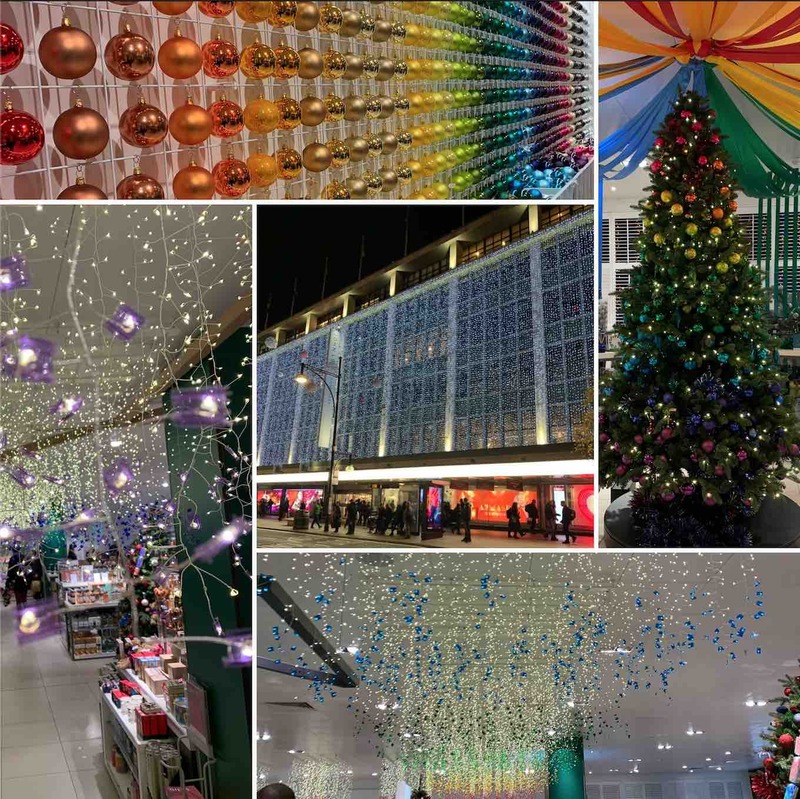 Of course you must visit John Lewis on Oxford street and see it all lit up outside, twinkling away. You should also go inside as John Lewis have wonderful displays inside, that got me very excited for December to come around!! 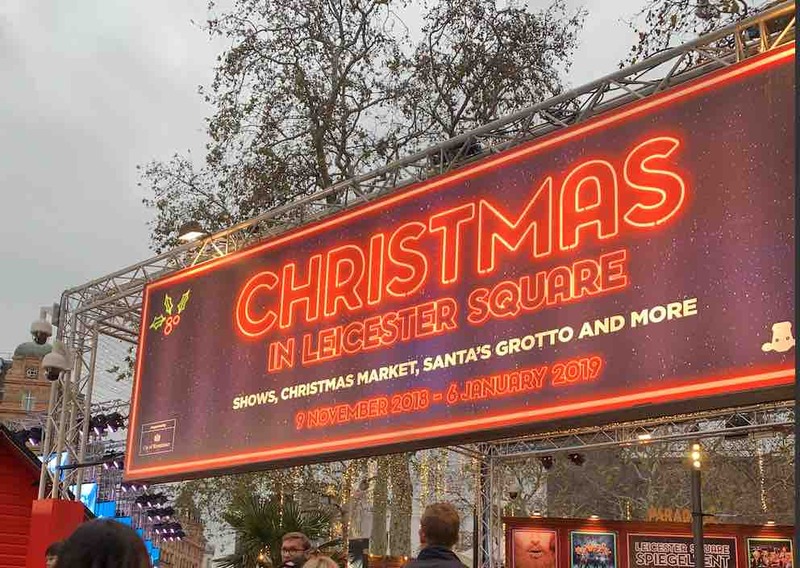 The Christmas market in Leicester Square is beautiful, with lights in the trees it is set up like a little village, and although we didn’t buy anything we enjoyed our walk around. There is red carpet on the floor and again wooden huts for the sellers and the blanket of lights when you walk in lights up the festivities. This is worth a trip to. Like most people I feel like once you have seen one Christmas market then you have seen them all, however this isn’t true. 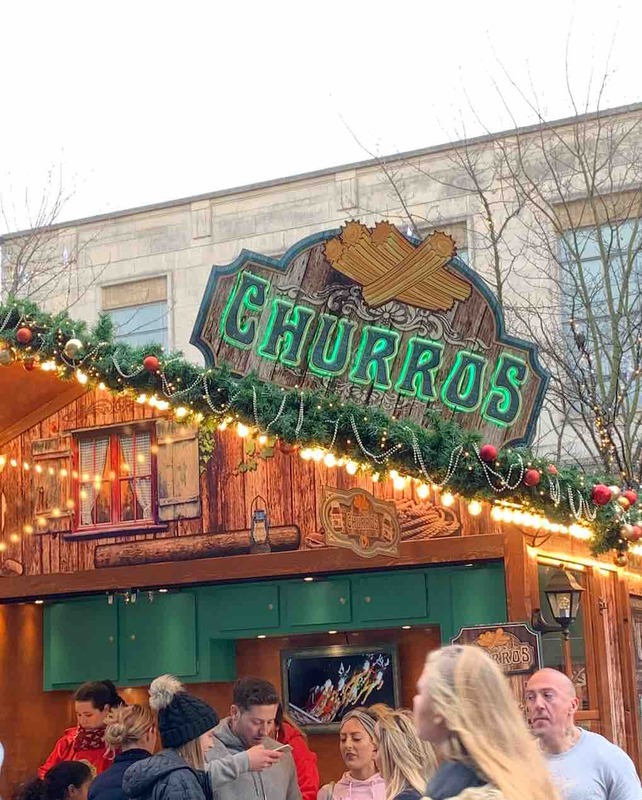 All Christmas markets are set out differently and do slightly differ in what they sell. With this in mind we are going to go and visit a few markets up north such as Manchester and maybe Liverpool. 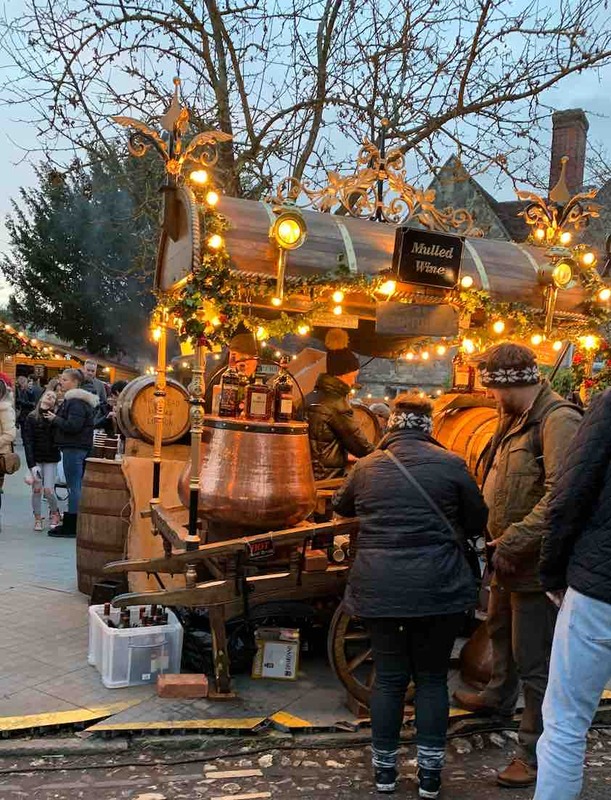 Everyone will have a local Christmas market, so it is worth the visit (even if you only get some food), as it is a sure way to get yourself into a festive mood. Don’t forget to follow us on Twitter and Instagram to see what we are up to!